I guess the “Real Estate Professional” is not a huge a font as it seems in my mind… It’s just the Maureen McCabe that is huge. 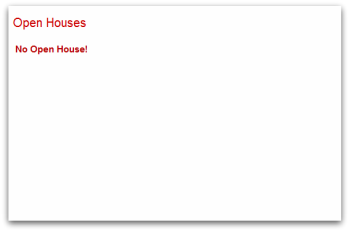 Open houses are??? Real Living HER has had a page showing a list of Central Ohio Open Houses every week for years now. Sure you can look at a house on Trulia, Zillow, REALTOR.com and see some little doo hicky that tells you the house is open… it is not the same as a list of open houses. And the Real Living HER Open House List was more than just a list. There was detailed information about the properties that would be open. I have a spot for the Real Living HER Open House List…. once I find it…. It may be a matter of making a search for open houses. The new Real Living HER search is pretty neat. 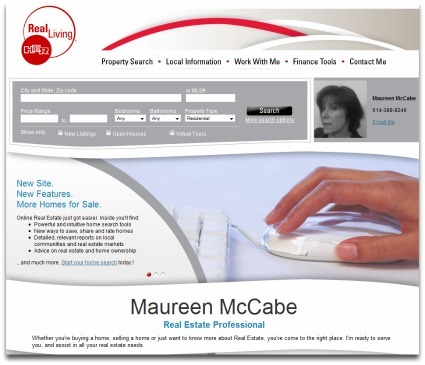 I don’t believe the Real Living HER websites the one with “Maureen McCabe Real Estate Professional” is a #Fail. I am excited about it. It is early in the game. I’ll find my way around that site somehow. I will figure out how consumers find their way around the site, I’ll drop some bread crumb. I will also make that site look different than all the other Real Living HER websites…differentiating it with something more than my name big and bold. and I’ll find that Real Living HER Open House List if it is the last thing I do.